How good is your 1st grader at measurement and estimation? Want to give him a challenge and find out? 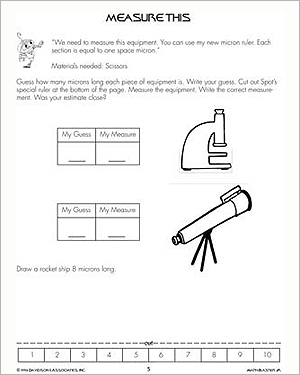 Our simple but fun ‘Measure This’ math worksheet is an easy way for kids to gauge how accurate their estimation is. All that they need to do is follow the instructions and get started!